Langham Place Residences is a modern embodiment of the trusted Langham brand. Choose from 239 fully-serviced ﬁve-star residences, ranging from deluxe to one, two and three-bedroom suites, and duplex penthouses. Platinum features and amenities come all-inclusive with your new Dubai home – so you can rejuvenate at the award-winning Chuan Body + Soul spa, delight your senses at the Michelin-starred restaurants, and rely on the trusted Langham service to take care of everything you need. 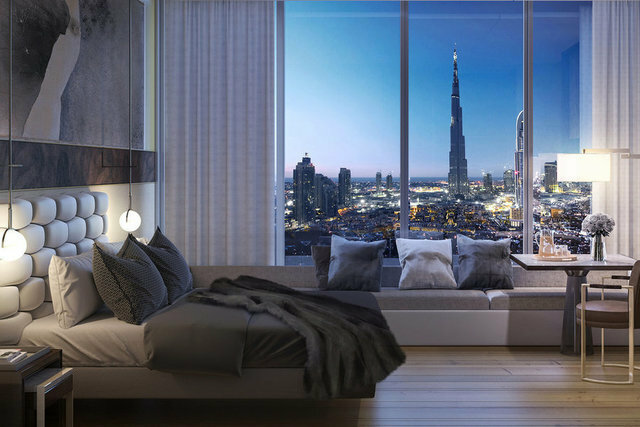 Situated in the heart of Downtown Dubai, Langham Place Residences, located in the Burj Khalifa District, stunning views of the Burj Khalifa, Dubai Creek and Dubai Design District, fully furnished serviced apartments with fully-equipped kitchen and private terraces, direct access to hotel amenities, gym, swimming pool, kids’ club and pool.